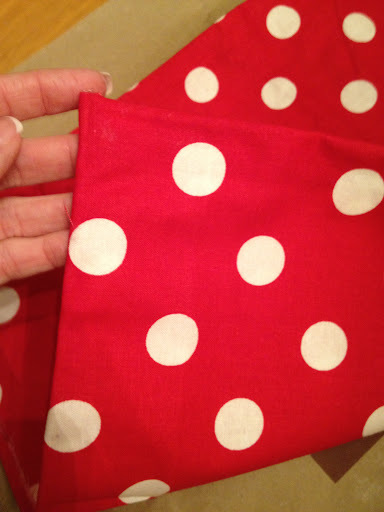 I am trying to make a Minnie Mouse costume to run in for the Healdsburg half this month. It’s a themed race and there is a costume contest. I’ve never been big on costumes and never though about running in one. I’m gonna give this a shot. Of course I’ll be running in a full shirt, my abs don’t look like hers do! LOL! I’m excited to see how it turns out. I may just wear it trick-or-treating! 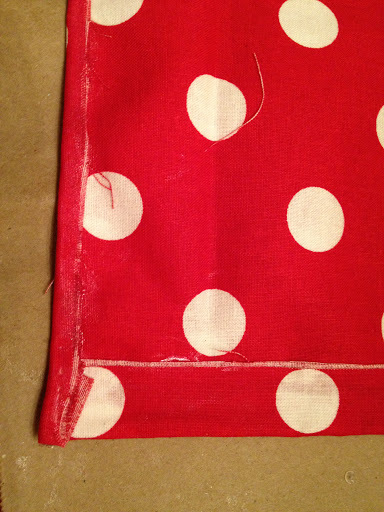 I started with the red/white fabric, basically used one of my running skirts to measure the length. I folded all the edges in and used the fabric glue to glue them down. I’ll post a final picture on Race day! 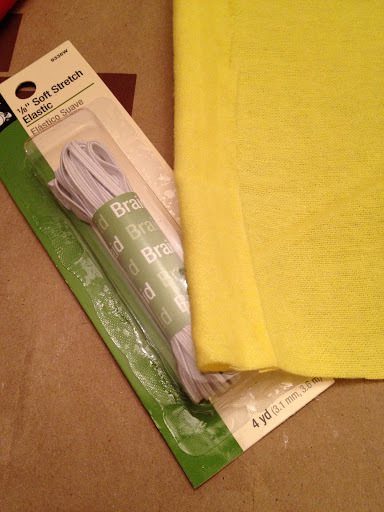 She spray painted old shoes yellow, but I don’t have an old pair so I’m using yellow felt material and elastic to cover my shoes. Crossing my fingers it works! 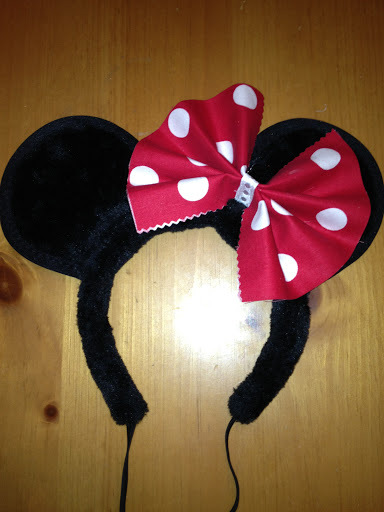 Here are my Minnie Mouse ears. Not sure I’ll love running in these, but I’ll give it a shot! 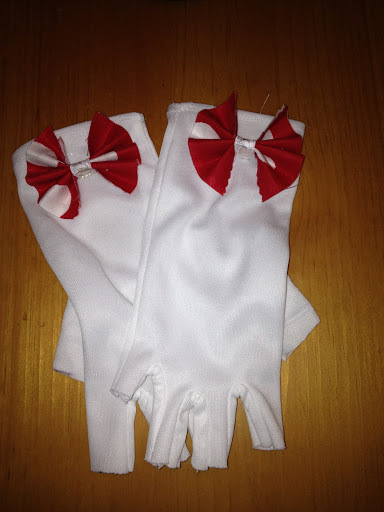 And finally I cut the fingers out of white gloves I bought at Party City. Here’s the final product. I wore it in my first costume race, the Healdsburg Half.